This historic townhouse has been beautifully restored by Abdo Development. 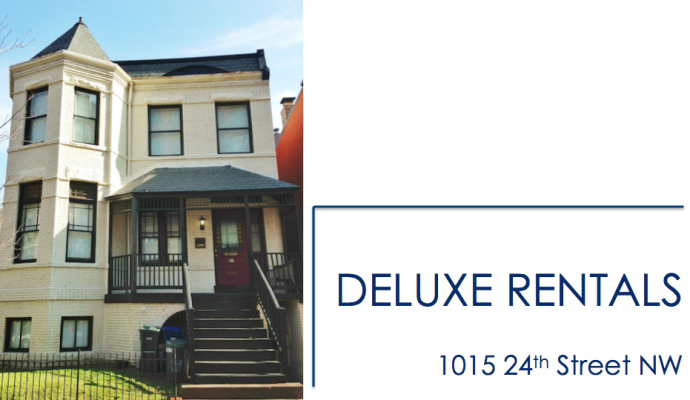 Located in Foggy Bottom/West End you are within walking distance to GWU, Georgetown and Dupont Circle. Great shops, restaurants, bars just steps away. 2 blocks from the Foggy Bottom Metro Station (Orange & Blue lines) and a quick 15 minute walk to Dupont Circle. Also close by is Trader Joe's< Whole Foods and the Sports Club/LA at the Ritz Carlton.